Borussia Dortmund joined Bayern Munich and Bayer Leverkusen at the top of the Bundesliga thanks to an ultimately comfortable 4-0 win over top-flight newcomers Ingolstadt. Matthias Ginter and Marco Reus settled Dortmund's nerves with a quickfire double around the hour mark just as it was beginning to look as though the first visitors to Ingolstadt in the Bundesliga were going to be frustrated by their hosts. Shinji Kagawa added a third with six minutes to go and Pierre-Emerick Aubameyang finished off the rout to take the Westphalians to the top of the pile on goal difference and inflict the first defeat of the season on the league's newcomers. 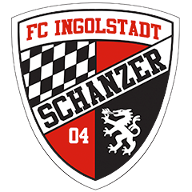 It was one-way traffic from start to finish, yet Ingolstadt were able to survive the storm for the first 45 minutes with a mixture of wayward finishing and good goalkeeping helping them stay in the game. 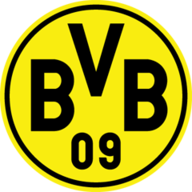 Ilkay Gundogan and Aubameyang were guilty of missing the best chances as Dortmund showed the same confidence and fluid football that saw them beat Borussia Monchengladbach 4-0 a week ago, only they were unable to supply the goals. That changed 10 minutes into the second half when Ginter cut inside Konstantin Engel and placed his shot into the far corner of Orjan Nyland's goal, finally beating the Norwegian custodian. A penalty for a foul by Moritz Hartmann on Marcel Schmelzer five minutes later allowed Reus to make it two, even though Nyland did get a hand to the ball. It looked like the floodgates might open, but it was not until the 84th minute that Dortmund added a third, Kagawa beating Nyland from Jonas Hofmann's pass. Aubameyang then wrapped up victory in stoppage time as Dortmund, who beat Odd 4-3 in the Europa League in midweek, took their tally to 12 goals in three games this week.